On August 15, 1945, the Empire of Japan surrendered to Allied forces, ending World War II. 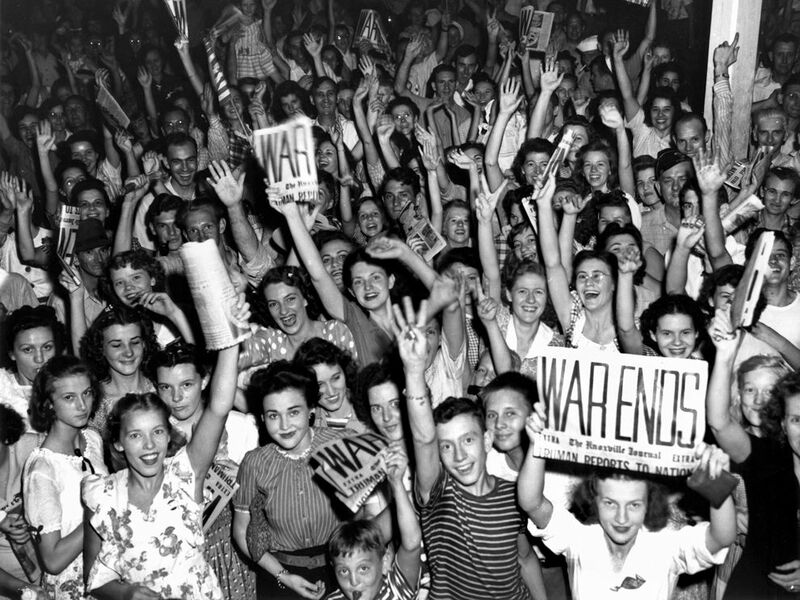 Residents of Oak Ridge, Tennessee, celebrate Victory over Japan Day (V-J Day). The surrender of Nazi Germany (Victory in Europe Day, or V-E Day) had occurred in May. V-J Day marked the end of the war. On August 15, 1945, the Empire of Japan surrendered to Allied forces, ending World War II. The initial news of surrender actually came a day earlier (August 14), and was not made official until documents were signed on September 2. All three dates are considered “Victory over Japan Day”, or V-J Day. Two weeks earlier, the United States, United Kingdom, and China had issued the Potsdam Declaration, demanding Japan’s immediate, unconditional surrender. “The alternative for Japan is prompt and utter destruction,” the document concludes. Japan ignored the Potsdam Declaration. The Soviet Union promptly invaded Japanese-held territory in Manchuria, China, and the United States utterly destroyed the cities of Hiroshima and Nagasaki by deploying the first and only nuclear weapons ever used in wartime. Japan’s surrender resulted in the country’s occupation by the American military until 1952.
to ask for in an authoritative way. to make ready for use or put into use. to not notice or recognize. to distribute, give away, or sell. to take control of a place, usually by force.